An updo that works for all ages. 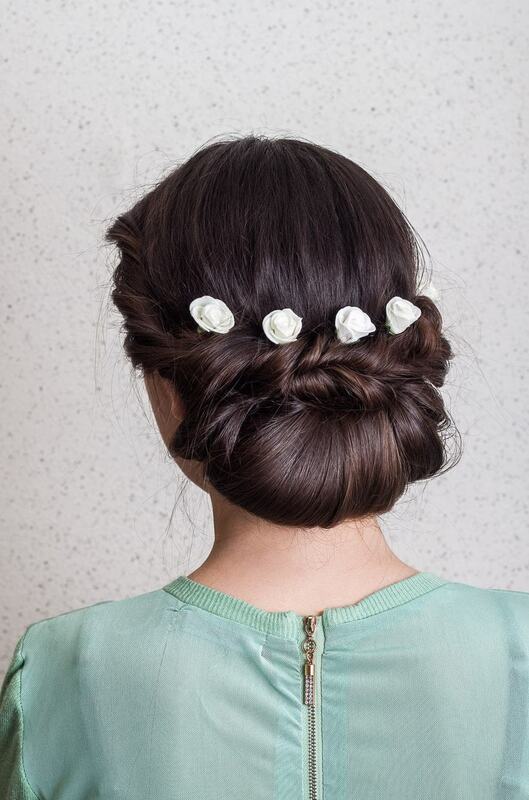 Upgrade a simple updo with scattered roses. Twist your hair into a romantic style. The best DIY updo out there. Scatter gems throughout your style. Add some sparkle to any style. A simple flower crown flatters everyone. Go in for a dramatic look. Try a more mod version of the flower theme. Consider a crown that sits across your forehead. Tuck a handful of flowers into a low updo. Pair a classic flower crown with a uniform low bun. Consider this option if you want to avoid real flowers. Let a few curls fall loose. Let your braids be your best accessories. Wrap a braid around the base of your bun. An oversized braid will make a major statement. 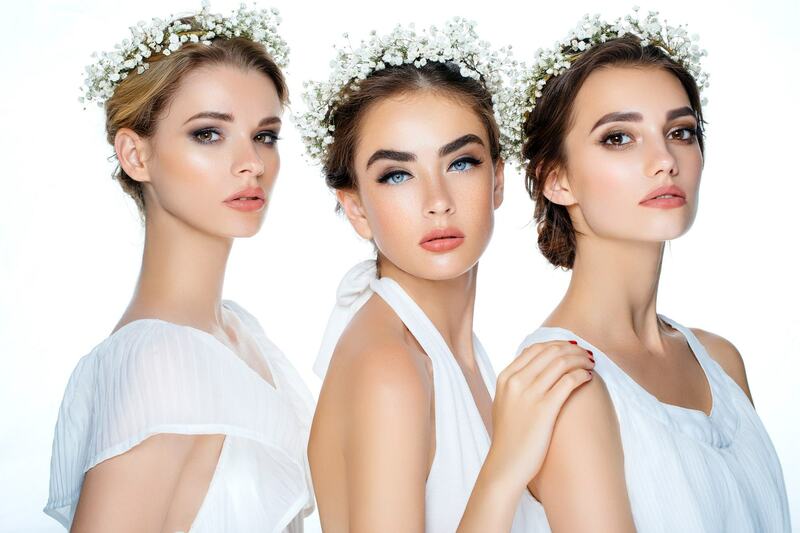 Take some of the stress out of the big day by wearing a style that makes you feel beautiful. If you or your little one has been asked to be the flower girl at an upcoming wedding, we’re willing to bet you’ve already started practicing the walk down the aisle. The job of a flower girl can be a little bit stressful, with all eyes following her every move. It’s important that she feels beautiful and comfortable so she can confidently make it to the end of the aisle. To help make prepping easier, we’ve created a collection of 19 beautiful flower girl hairstyles for girls of all ages. Each style is wedding-appropriate without being over the top to ensure that she feels ready for the big job. We’re kicking off the collection with a simple updo that works on a range of hair types and is appropriate for girls of all ages. 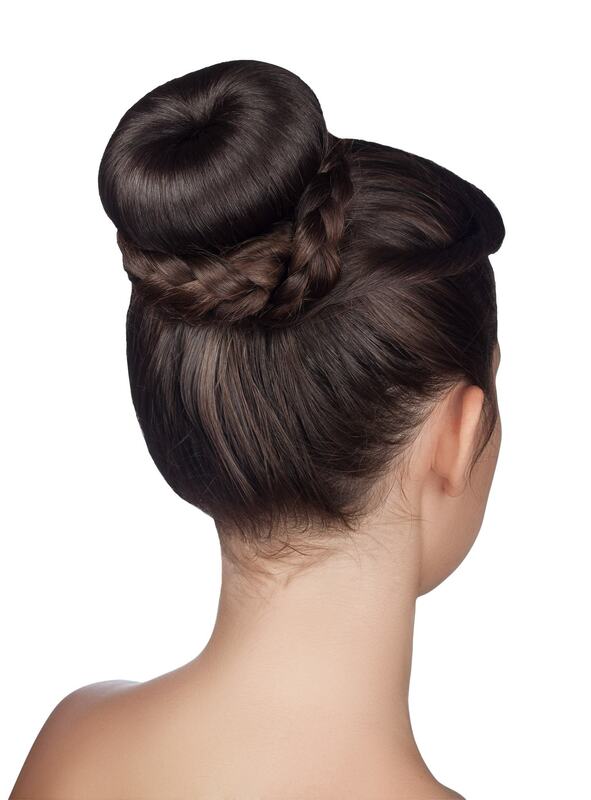 This updo includes a few key components: volume, intricacy and a few face-framing locks of hair. 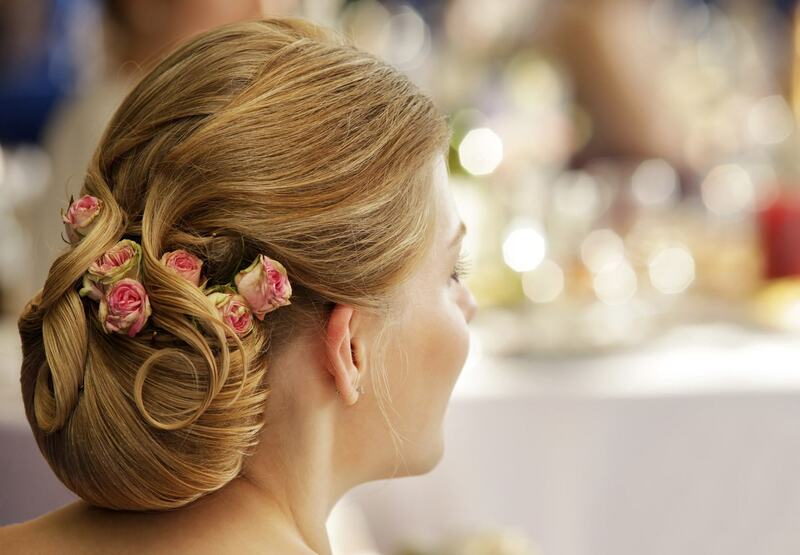 Take a simple updo one step further and ensure that it’s wedding-appropriate by adding a few scattered white roses. This style is easy and romantic and it’s super easy to create. 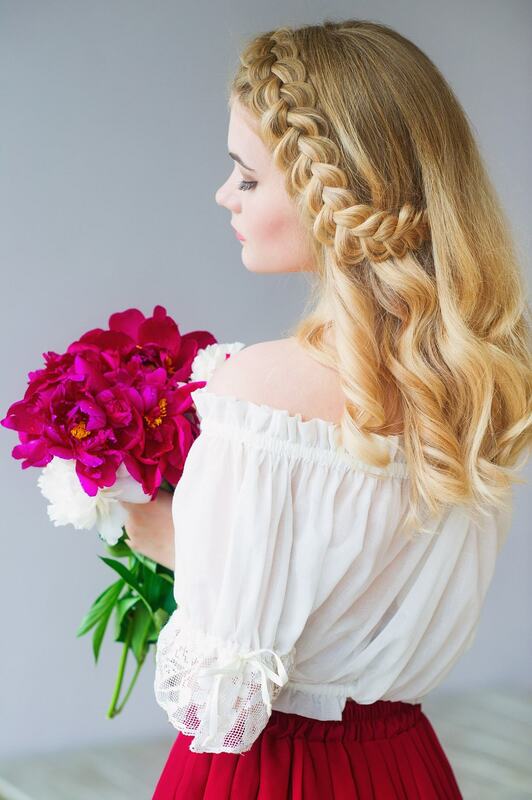 Gather loose curls up into a loose twist and tuck a few flowers into the finished style. This no-fuss style is easy to create on yourself or on your daughter (even if you’re not a pro stylist). Tuck straightened hair into the base of a ponytail and spread out the tucked hair for more volume. 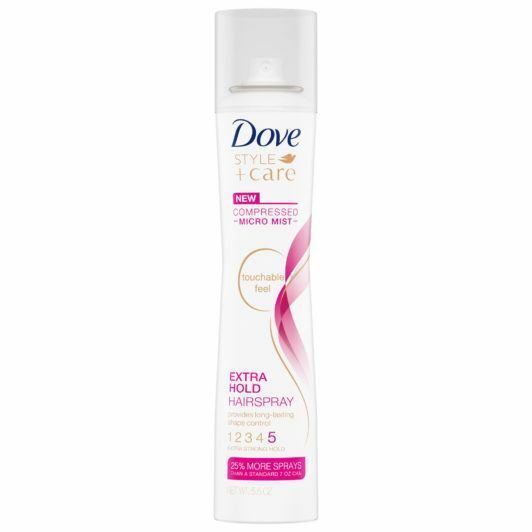 Finish with a mist of Dove Style+Care Extra Hold Hairspray to keep the look in place. Pull the hair away from the face in a tighter updo and scatter gems throughout for a touch of sparkle. 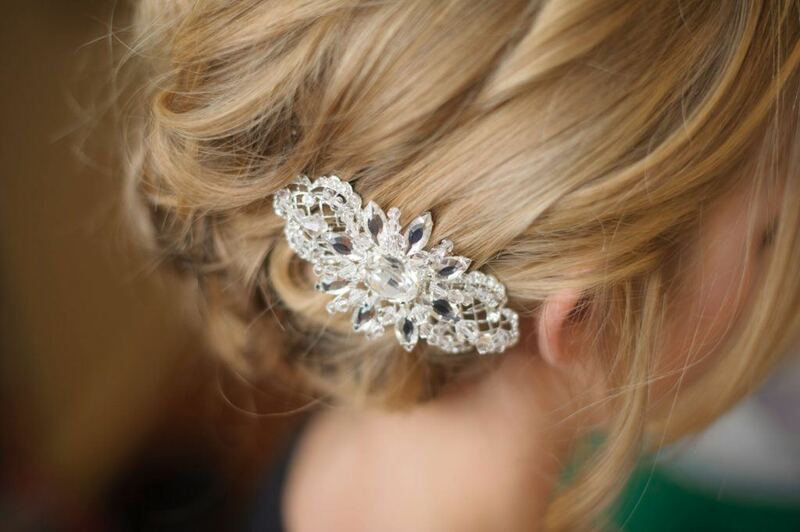 Take a touch of sparkle to the next level by incorporating a tiara in the hairstyle. 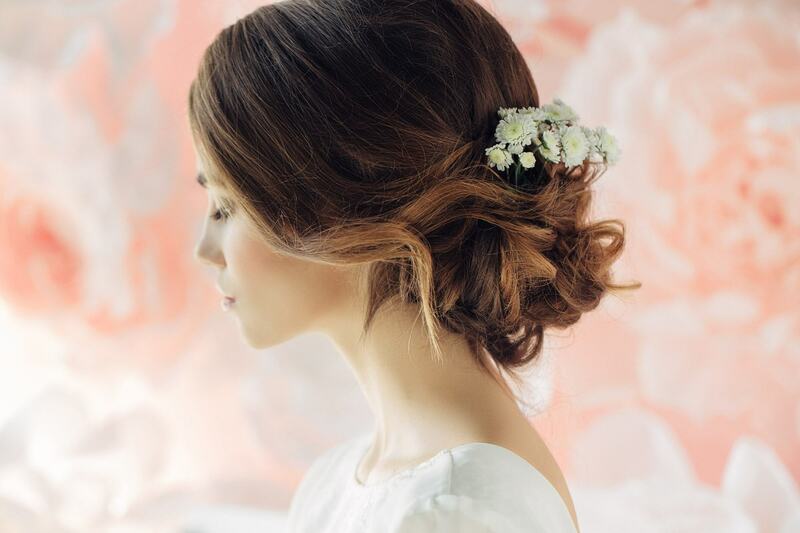 Personalize a very classic styled updo by tucking a few flowers throughout. In our opinion, the flower girl can never have too many sparkly accessories. 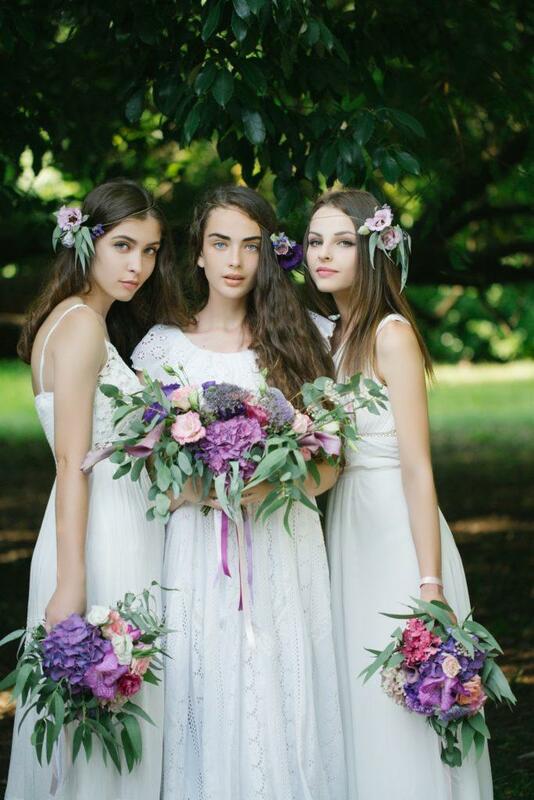 Keep it simple and sweet with understated flower crowns that flatter everyone. If you’re looking for the opposite of understated then consider a much more dramatic oversized flower crown. 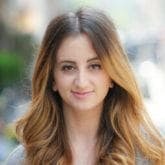 Pair it with long loose textured waves to get the most of that flower child look. Get in on extra texture with a few sprays of Suave Professionals Sea Mineral Infusion Texturizing Sea Salt Spray. Honor the flower theme with a more modern floral look. Choose a crown that sits across your forehead and compliments a low and romantic updo. 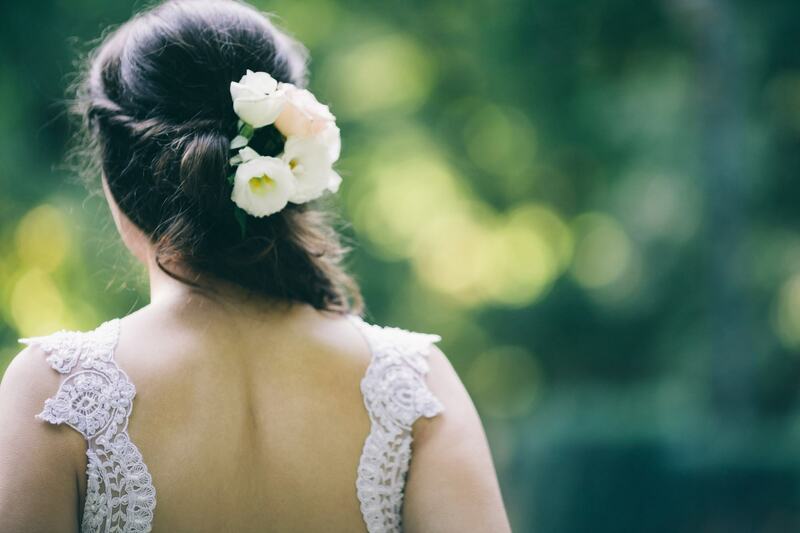 Upgrade a simple updo style by tucking a handful of flowers into the base. 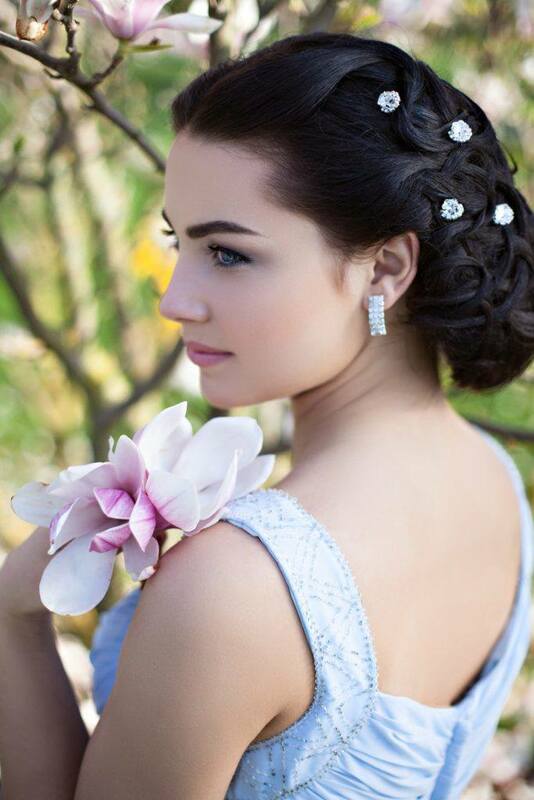 An off-center part and low gathered updo streamline the flower crown look and balance it beautifully. Leave the real flowers for your walk down the aisle and consider slipping a thin beaded crown over long-styled curls. A sweet and romantic updo is always a great option for anyone in the wedding party. Let a few curls fall loose around your face to complete the look. Skip the flowers and let braids be your accessory for the day. 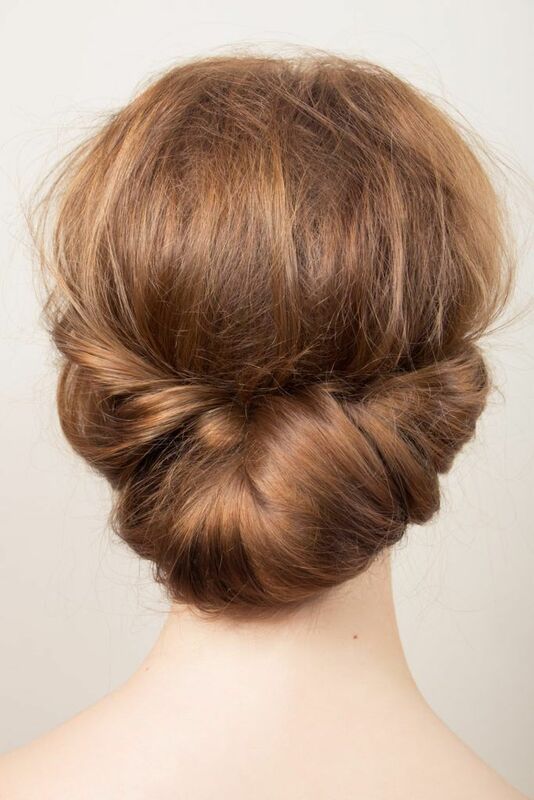 Wrap a three strand braid around the base of a ballerina bun. This is one of the easiest and most impactful ways to upgrade a simple bun. 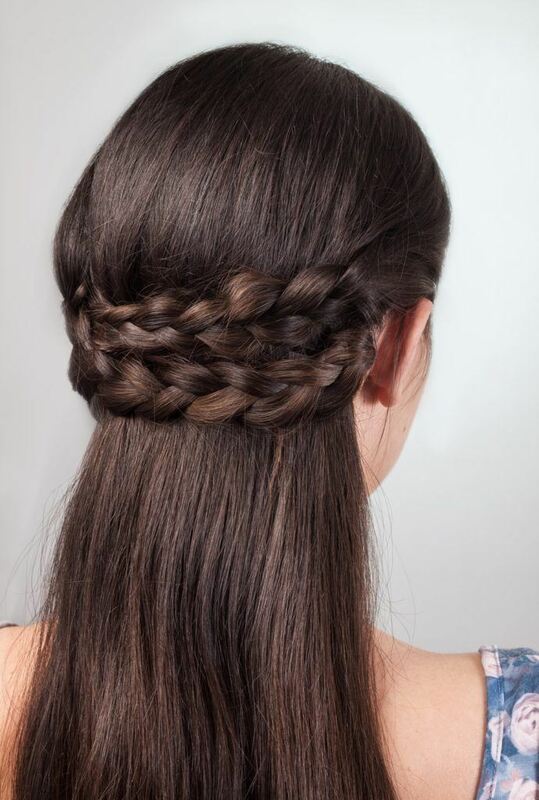 Create a dutch braid that starts at your hairline and continues to the back of your hair. 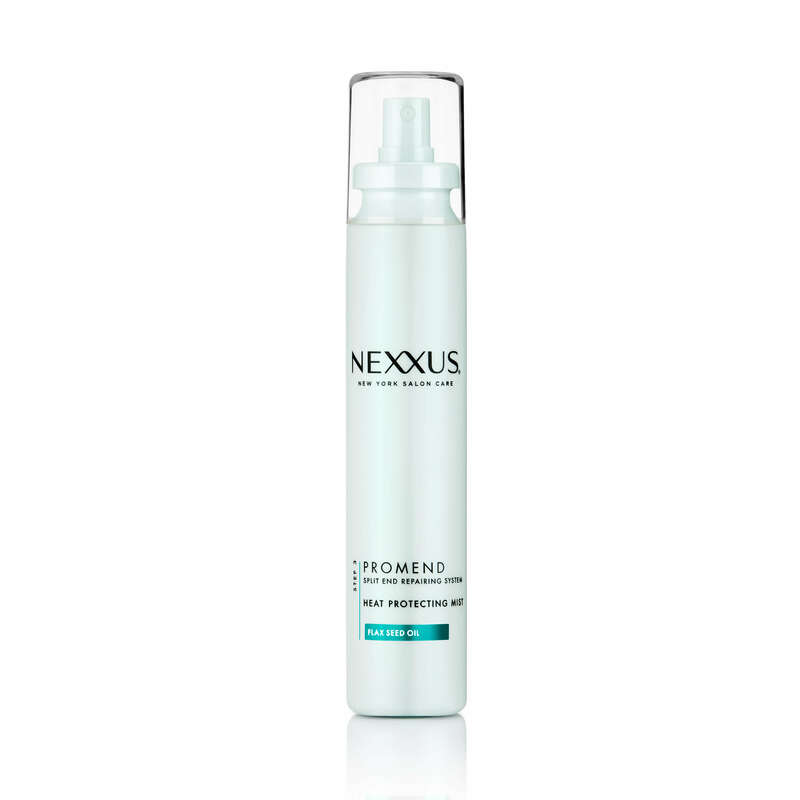 Spray your hair with Nexxus Promend Heat Protecting Mist and create loose beautiful curls. wedding updos for Curly Hair.